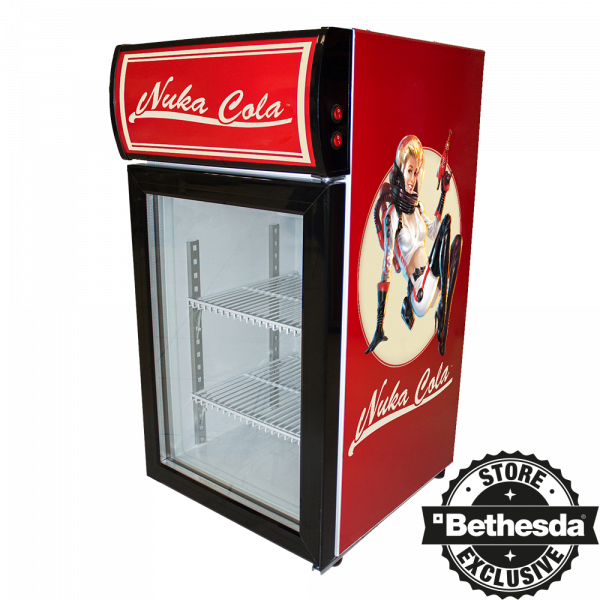 Fans of Nuka Cola, rejoice: The fridge is here! This fine mini fridge comes with the Nuka Cola Pin-Up on the side, the upper Nuka Cola logo is backlit and shines bright through the night. The fridge measures approx. 420 x 460 x 805mm and keeps your favourite beverages cold in a stylish way. Please note: The fridge runs on 230V AC and comes with an euro plug! This item is made to order and can not be returned. Not available outside of the EU.